Edgewood has much to offer both the casual visitor and the permanent resident. The community’s Woods Edge Golf Course has been recognized as one of the best 9-hole courses in the state. Numerous shopping venues are found in the energized downtown & the extended Edgewood area. Edgewood hosts a PRCA Rodeo every June, bringing more than 10,000 visitors to town over a four-day weekend. The Rodeo is an experience you will always remember. The Ed-Co School District has a dedicated, top-notch faculty that puts individual student needs first. A broad variety of extra-curricular activities allows students to grow in a variety of contexts. 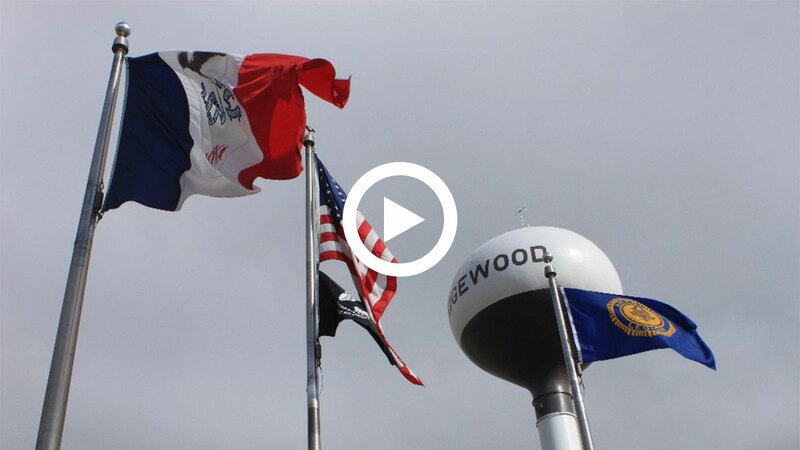 The Edgewood Locker has proudly served Northeast Iowa with catering and meat processing since 1966. As a progressive, growing business, the Locker is continually improving its product line and services to better serve its customers. The Markket, featuring exclusive home décor items, has become a destination for visitors from the Tri-State area. Forever Cabinets by Kendrick and Kendrick Home products are manufactured from native lumber in the Markket building in Edgewood. In addition to Edgewood attractions, there are many interesting natural and historic venues within an easy drive from Edgewood for the visitor to explore. The beauty of the region’s natural setting is unrivaled in Iowa.